As an artist I have always been drawn to my parent’s homeland of Cyprus and in particular, its unique cultural heritage and traditions. My latest art project is based on stories and tales of the past as told by elderly Cypriots who I consider to be the last generation to have actually lived and witnessed a way of life on the island that has since disappeared. This way of life had existed on the island for centuries until the 1950s and in many ways exemplified the authentic Cyprus and the authentic Cypriot lifestyle. For many, the way of life in Cyprus changed forever after EOKA, independence and the Turkish invasion and even more so after the European Union, tourism and globalisation. I am planning to have an exhibition in 2014 of my artwork and to launch a Children’s book that pays homage to my parent’s generation and the end of an era. 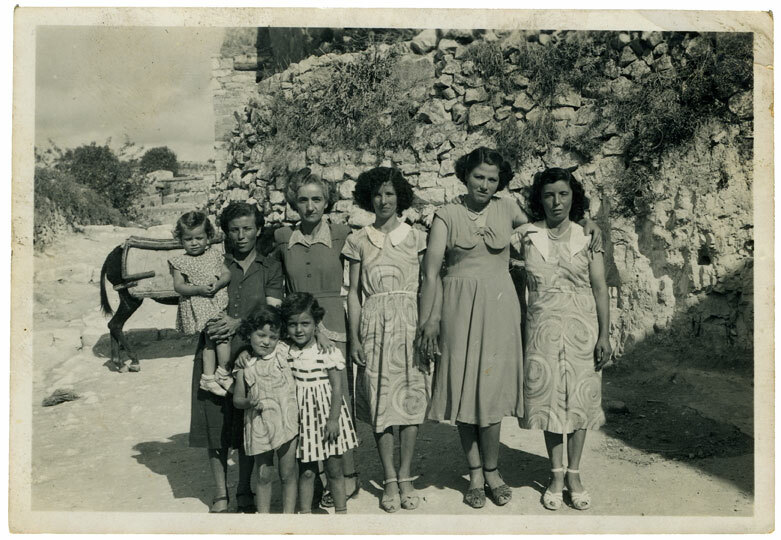 In addition to my art exhibition I am also planning to reprint and exhibit old photos – scanned from people’s photo albums – that depict life in Cyprus before the 1950s. As far as I can tell, this exhibition will be the first of its kind in Australia and will offer the visitor a unique and important glimpse into the past. More importantly, the exhibition will hopefully teach young people about a time, in Cyprus, when people who had a lot less in life were somehow more content and grateful. The photos on these blog represent a small sample of the images I hope to reproduce and exhibit in 2014. The photos were scanned with permission at the owner’s residence using sophisticated technology and therefore avoiding any stress or concern regarding the handling of the photos. My parents’ generation are from the last traditional society to have lived and experienced the ‘authentic’ rural and rather rustic lifestyle in Cyprus. The way people lived on the island during my parent’s upbringing had remained largely unchanged for hundreds of years. Sadly, this way of life – as they knew it – has all but disappeared – and will never return. The entire world has been irreversibly changed forever by computer technology, capitalism, globalisation, immigration, tourism, war, terrorism and an accelerated thrust to modernise the planet. Visitors to Cyprus today will have to look long and hard to find any remnants or signs of an ‘old world’ or original cultural life. The men and women who lived the traditional Cypriot village life between 1920 and 1940 are well over 70 years old now and are sadly starting to die off or in some cases are beginning to forget due to the onset of dementia. I must record their stories before it’s too late These people were the traditional owners of the land – before the invaders, immigrants, global investors and the property developers came and changed the rural landscape forever. Yes – I am witnessing the end of an era. The Cyprus my parents and ancestors knew is about to disappear forever. My aim is to interview Cypriots, both Muslim and Christian, from the last traditional generation and document their memories and stories about the past. 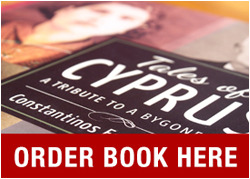 I want to have an authentic record of ‘how Cyprus used to be’ – before the EOKA struggle; before Independence; before the war; before the EU; before the days when Cyprus lost her innocence. In order to do this I need to find ex-patriots who were born between 1920 and 1950 who are willing to talk about their life in Cyprus as they were growing up. What are their most vivid memories? How did they live or survive in the village back then? What were the relations between Greek and Turkish Cypriots like? What games did children play? What food did they eat? How was the food prepared? I hope through my efforts I can capture the past – both through vintage photography and my own illustrations.